Bosch All-Purpose Reciprocating Saw Blades feature bi-metal construction, delivering maximum life and durability for cutting in a variety of materials. These blades feature 10/14 variable-tooth pitch for optimal speed as well as clean cuts. The blades are constructed with a flexible 0.035 In. bodies that resist breakage in flush cutting, and with variable gullet depth for faster chip removal in wood, plastic, metal and sandwich materials. The all-purpose cutting blades are available in both 6 In. and 9 In. lengths. 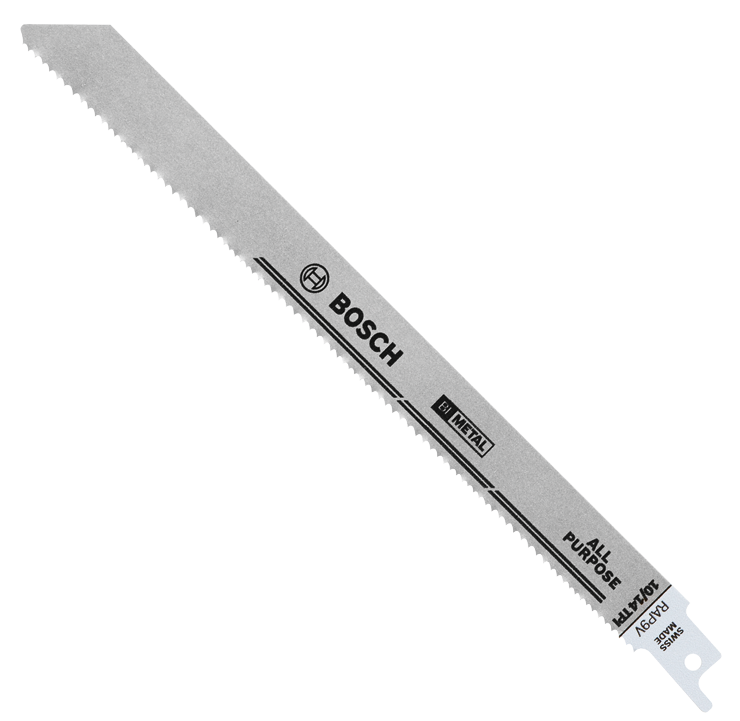 By incorporating high-quality materials, best manufacturing processes and proven tooth-design features, Bosch provides professional reciprocating saw blades that cut faster and last longer.